This is the underwater spectrophotometer! “Underwater spectrophotometer”… say that 10 times fast! I was lucky enough to steal a few minutes of Audrey Ciochetto’s time while we admired the views from the fly bridge today. Audrey works with the Colleen Mouw Lab at the University of Rhode Island. 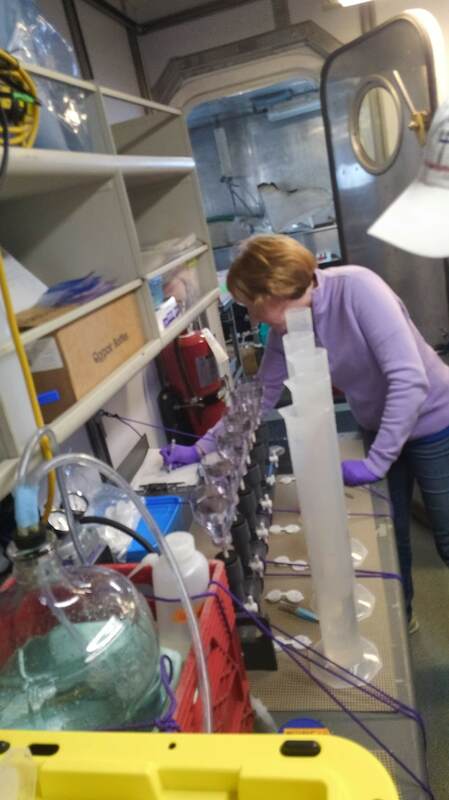 Her lab studies phytoplankton (you may remember that phytoplankton is plankton that is like a plant) and how light from the sun interacts with plankton. I bet you never thought about that! It’s amazing stuff! Audrey and a graduate student from the lab, Kyle Turner, have brought another cool science tool on board, an underwater spectrophotometer. The ship has pipes hooked up that take water in from 4 meters under the surface of the ocean at a constant flow. This water goes into the spectrophotometer and the machine gets to work. 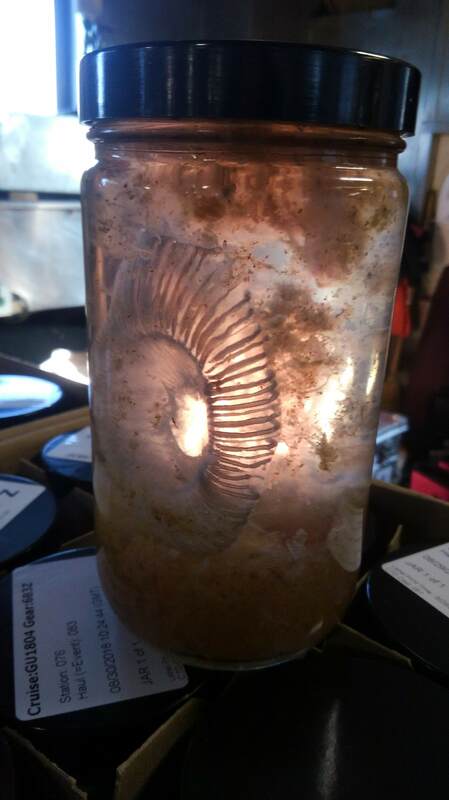 It shines light through the water and measures how the light is absorbed (taken in). Did you know that light travels in waves? Different colors of light that you see are different wavelengths. The spectrophotometer can measure 83 different color wavelengths and what happens to them when they shine on the water. What does happen to light when it shines into the water? First of all, the water itself absorbs some of the light. There are also a lot of tiny things in the water that absorb light. Can you think of some tiny things that might be in the water? You guessed it again! Phytoplankton is absorbing some of the light, but also other things like tiny particles and dissolved matter will absorb light. These items will also scatter the light, making it bounce in different directions. The underwater spectrophotometer measures that too! Audrey and Kyle spend some of their day taking samples of the water and filtering out the plankton and particles, leaving only the dissolved matter. They will also bring some sea water samples back to their lab to separate the phytoplankton from the rest of the particles. By separating all of these factors, scientists can get an idea of how each of these components in the water are responding to light. The goal of this work is to understand what satellites are seeing. Scientists rely on satellites out in space to take pictures of what’s happening on Earth. These satellites can detect the light from the sun shining on Earth. They can see some color wavelengths as they are absorbed or scattered by different things on our planet. With the work that Audrey and Kyle are doing, we can better understand the satellite pictures of the ocean and what they mean. We can understand what’s in the ocean by looking at what the sunlight is doing when it touches the water. Pretty incredible, right? Hearing all of these brilliant ideas from Audrey got me thinking about how creative scientists must be to design experiments and investigations to answer questions. Remember the hypothesis example that Chief Scientist Harvey mentioned in his interview? It was an idea that scientists came up with after they used monitoring data to discover a pattern of lower populations of herring (fish). 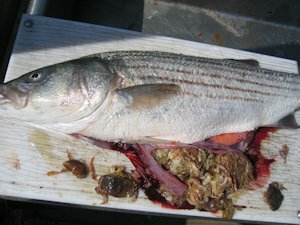 Scientists can study the stomach contents of fish to learn what they are eating. Photo courtesy of The Fisherman Magazine. How would you design an experiment to test this? Well, the real scientists who did this work examined the stomach contents of haddock to see how much of their diet consisted of herring eggs! Would you have thought of that? It was interesting to read about this study in a scientific journal called PNAS (it stands for Proceedings of the National Academy of Sciences), “Role of egg predation by haddock in the decline of an Atlantic herring population.” By Richardson et. al. Get creative and start thinking of your own ideas to answer questions you have about the world! Tamara is the physical science technician for NOAA National Marine Fisheries Service (NMFS) at Woods Hole. A technician is someone who is an expert on the equipment and technology used by the scientists. Today I had a chance to ask Tamara some more questions about her work. Me – Tell me more about your job. 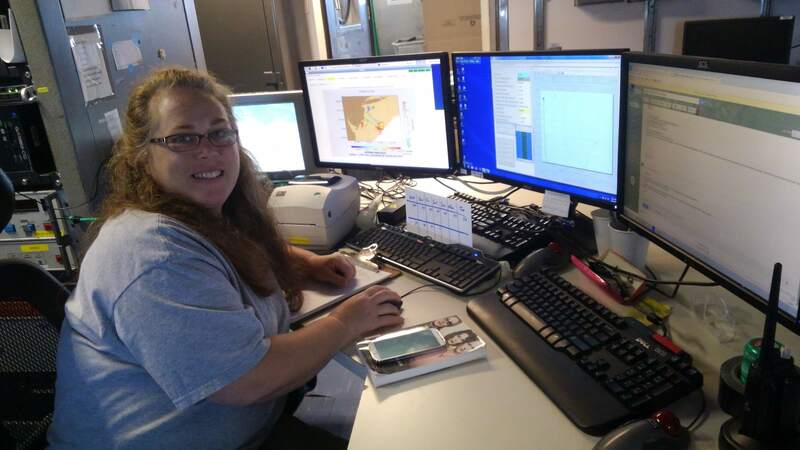 Tamara – I provide quality control for all of the data brought back by all of the ships involved in our study. A lot of it is statistical analysis of data [this means looking at data and making sure that it makes sense and is accurate]. I calibrate sensors [make sure they are accurate], process data, and write reports based on the data we find. We create a yearly atlas of information based on our data that anyone can use to look for trends (such as changes in plankton populations). I also maintain and coordinate equipment that is needed for the studies. Me – What part of your job with NOAA did you least expect to be doing?Tamara – I least expected to be so involved with plankton! I used to do only the hydrography (water chemistry and physical properties) but now I am also involved with plankton data collection. Tamara keeps track of a lot of different things during her watch. Me – How do you help other people understand and appreciate NOAA’s work? Tamara – I write the reports and make data available to the public. People can be reassured that quality control is in place in our monitoring and the data is as accurate as possible. It is my job to make sure of it! Me – What do you love about going out to sea? Tamara – I love the experience of being out at sea and meeting new people! Our days on the ship are spent collecting data at stations, storytelling and watching the water on the fly bridge, catching up on work, watching sunrises and sunsets. I’ve been pleasantly surprised by the comfort and commodities (like comfy mattresses and hot showers) and especially, THE FOOD! The food options are outstanding. One night we had king crab legs and tuna steaks. Margaret is the best chef EVER. Here on NOAA Ship Gordon Gunter, we have a wonderful steward staff (cooks and kitchen managers), Margaret and Paul. They always have smiles on their faces when you walk in for meal time and are happy to spread their cheerfulness. There is always an amazing menu with many items to choose from. As a vegetarian, I have been blown away by all of the delicious veggie options. But there is plenty of meat for the carnivores too! 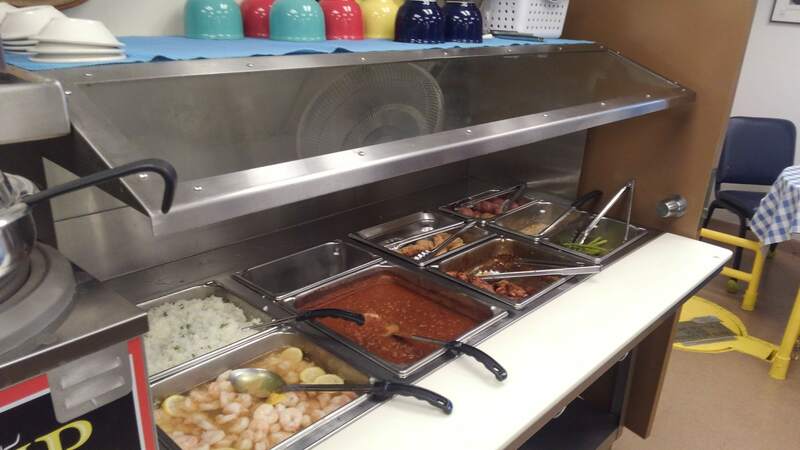 There are always a variety of snacks available as well as healthy options. 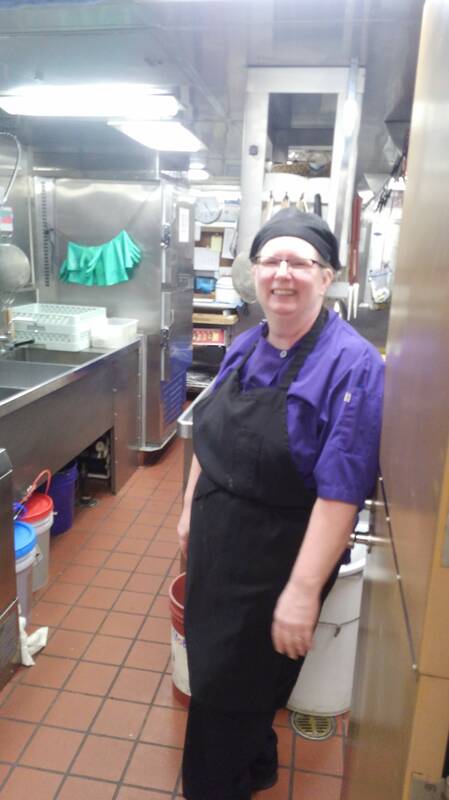 Margaret makes homemade cookies and pies, guacamole, crab salad, and eggplant curry, just to name a few. We all sit down for meals together and share stories. And there is always dessert! Water absorbs red light first. So, if a fish has red scales when it’s out of the water, under water he will look brown and blend in to his surroundings. All of the red light will have already been absorbed by the water and there won’t be enough left to reflect off the fish’s scales! 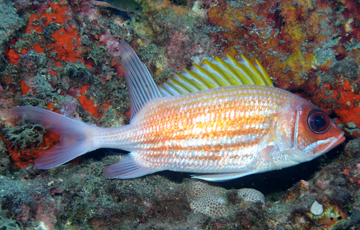 A squirrelfish can blend in to its surroundings under water. Since it is a red fish, it is hard to see its color since the water has already absorbed the red light from the sun. Photo courtesy of NOAA. 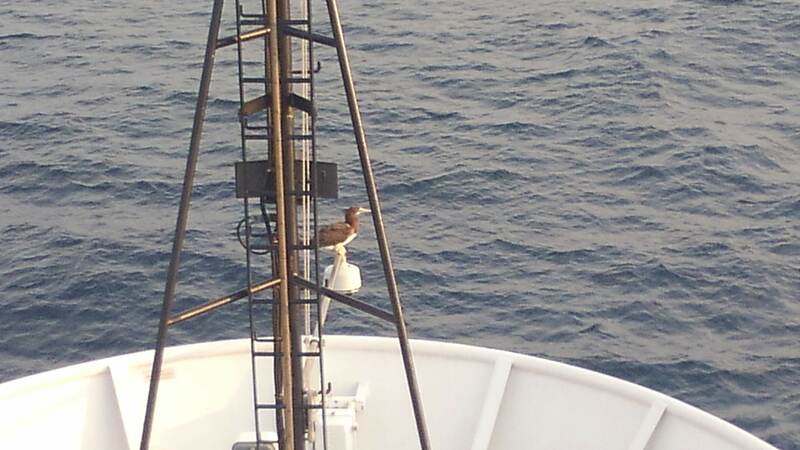 Bobby the brown booby stayed with our ship for several hours. A jellyfish we caught in the plankton net! 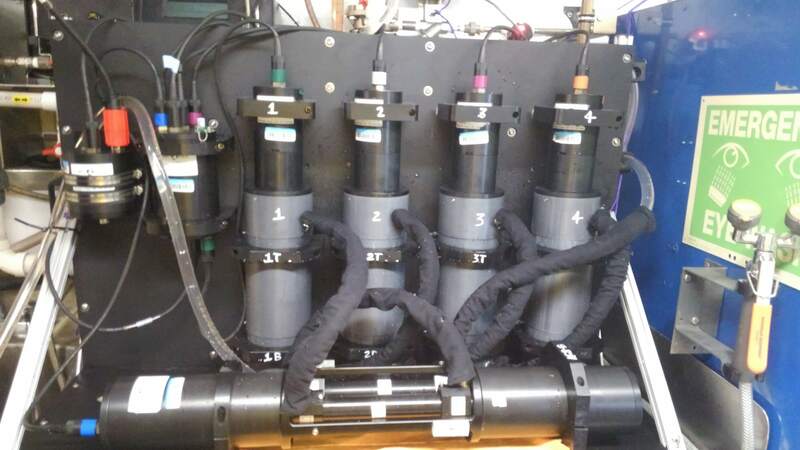 This entry was posted in 2018, Martha Loizeaux, NOAA Teacher at Sea and tagged phytoplankton, spectrophotometer. Bookmark the permalink.